"Harley-Davidson announced today that Neil Grimmer will join the company’s leadership team as President, Harley-Davidson Brand. 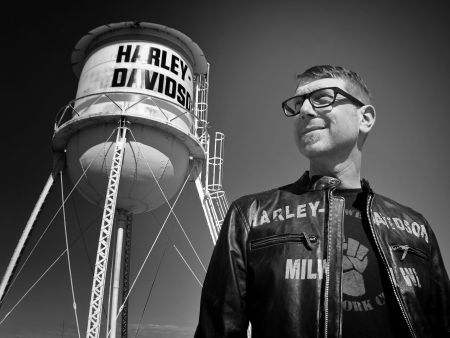 Reporting directly to Matt Levatich, President and Chief Executive Officer, Harley-Davidson, Inc., Grimmer brings over 20 years of experience building brands and growing companies. Most recently, he was Founder and CEO of Habit, the world’s first personalized nutrition life science company. Grimmer also served in a leadership role at Campbell Soup Company and was Co-founder & CEO of Plum Organics, which was acquired by Campbell’s in 2013. Grimmer also served as the Vice President of Strategy and Innovation at Clif Bar & Company and Senior Designer at IDEO. He earned an MFA in Product Design from Stanford University and a BFA from California College of the Arts. He is currently a Henry Crown Fellow at the Aspen Institute. “As we intensify our efforts and with this added leadership talent, the company will more fully engage the power of the brand as a catalyst to help reach the full potential of our strategy and meet our long-term objectives.” said Levatich.